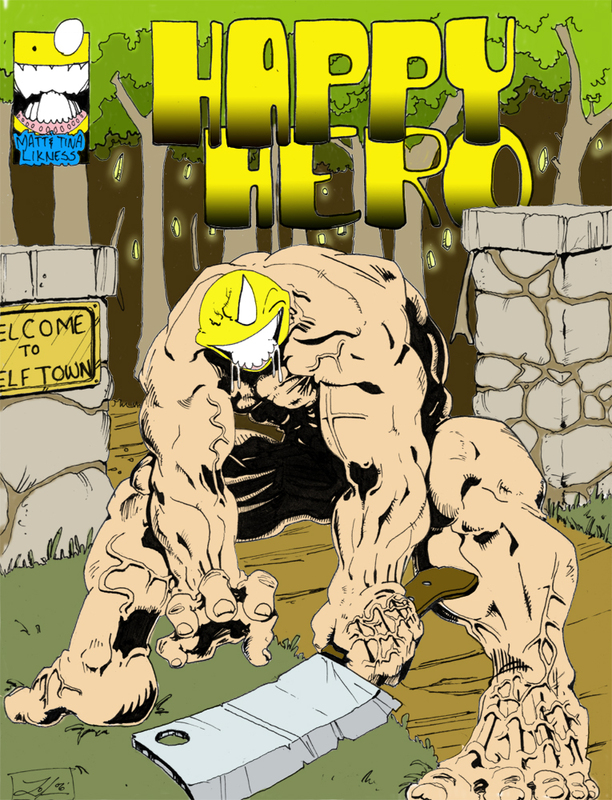 Ongoing comic, about a Hero so Happified, he persues the murderous destruction of all things unhappy. Goths and Emos mostly, but evry so often the occasional movie spoof thrown in. If I have to tell you what its about, why would you read it? There are two issues before this one, #0 and #1. David Lopan (yes, from Big Trouble in Little China) was Happy's sidekick. Figuring that we should not use a character someone else created (John Carpenter) we decided to kill him off in favor of another.